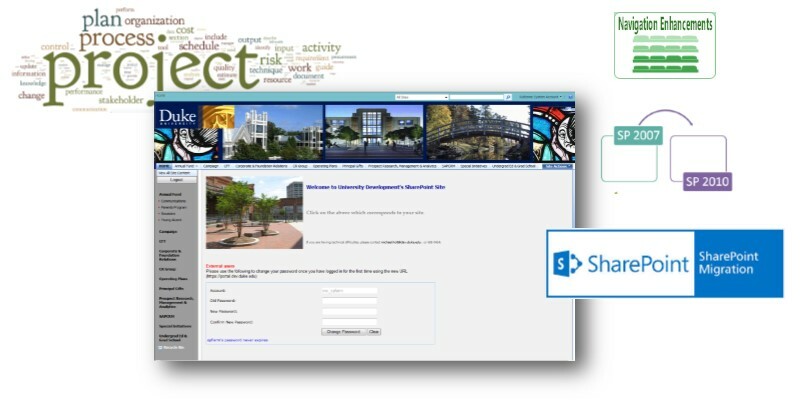 In 2008 Duke University alumni association was overwhelmed by paper processes and contacted us for a SharePoint solution to their process management challenges. We migrated several disparate 2007 farms to one centralized farm location and set up Microsoft ISA 2006 as a smart firewall. We then managed their SharePoint farm for several years, did an upgrade from 2007 to 2010, managed their firewall, forms-based authentication, and built document management solutions. Standardized hierarchies so users intuitively know where to locate or place documents.